The Spanish capital of Madrid is a city with much attitude and vibrance, being central to the nation's politics and economy. Residing on a high plain and within the geographical heart of the country, this lively city may not be one of the world's most attractive or stately, but those visiting this metropolis will soon find an enticing atmosphere and character, quite unlike other capitals. Madrid comes with enthusiastic friendly locals and a nightlife that continues well after midnight. Madrid became the capital of Spain in the middle of the 16th century, for no other reason that its convenient central location. It has taken many centuries for the city to become one of Europe's finest, now boasting a well-developed cultural scene, plenty of tourism opportunities, superb restaurants and world-class museums, such as the renowned Museo del Prado. The city of Madrid has grown up around the Puerta del Sol and from this point, numerous principal roads connect surrounding places of interest, such as the Calle de la Montera, which leads to the principal thoroughfare named the Calle Gran Via - running east to west. Lying just a short distance to the south and forming the city's most historic district (barrio), the Plaza Mayor is home to the Municipal Tourist Information office, while further tourism outlets reside on the Calle del Duque de Medinaceli, with counters based at Madrid Barajas Airport (to the north-east) and the train stations of both Chamartin and Atocha. The very centre of Madrid is actually quite compact and those planning a day of sightseeing will find that getting around on foot is not only straightforward, but always extremely rewarding. However, should you prefer to rely upon Spanish public transportation, then the metro trains are especially convenient and rank amongst Europe's cheapest. Metro stations are generally easy to come by and each features a large map of the city next to the entrance, should you need to gain your bearings. Madrid is an ever-evolving city and although it is world-famous for its traditional bullfights staged at the Plaza de Toros Monumental de Las Ventas, there are also plenty of additional cultural and quality attractions to fully occupy tourists. The Parque del Retiro is an important vast green space and resides on the eastern side of the centre, where it lies nearby the Puerta de Alcala and is often described as being the 'lungs' of the city. Visitors may also like to check out the tropical garden within the old railway station, known locally as the Estación de Atocha. 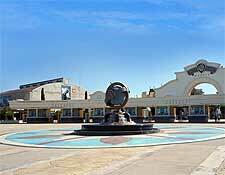 Families will enjoy spending an entire day at the Parque Warner Madrid, which lies just over 20 minutes to the south-east of the city centre and is part of the Six Flags chain, coming with exciting rollercoasters such as the Stunt Fall, Superman and Correcaminos Bip Bip. 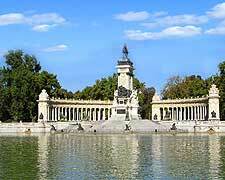 More information about Madrid Tourist Attractions. Whilst Madrid may not feature the ancient history of some European capitals, its stature certainly grew during the 17th century and many of the city's most historic and noteworthy buildings date from just after this period, which was known as the 'Spanish Golden Age'. 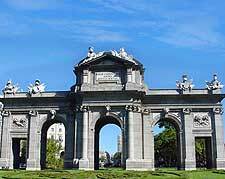 The Puerta de Alcala gateway is a particularly striking Neo-classical structure and presides over the Plaza de la Independencia, being constructed in the 1770s. Slightly older is the Palacio Real (Royal Palace of Madrid), which dates back to the late 1730s and was built on the site of a 9th-century Muslim fortress. 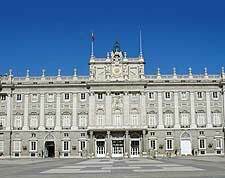 The palace is the official residence of the Spanish royal family and often plays an integral part in state ceremonies. Tourists will no doubt enjoy checking out Neptune's Fountain on the Plaza de Cánovas del Castillo, which is known locally in Spanish as the 'Fuente de Neptuno' and depicts Neptune (God of the Sea) on a shell chariot, being pulled by two horses with fish tails. 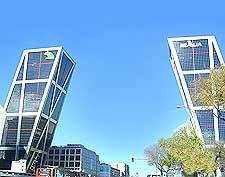 More information about Madrid Landmarks and Monuments. A real profusion of museums (museos) exists in Madrid and visitors to the city could easily fill their entire holiday exploring the very best of these. The Museo del Prado should certainly appear at the top of any planned itinerary and this exceptional gallery serves as the national art museum of Spain, featuring an important collection of European art, from between the 12th and 19th centuries. The Prado is called home by a collection of more than 9,000 paintings and sculptures, although not all are on display and a large proportion are actually on loan to other worldwide galleries. The Museo de América is always an interesting cultural attraction for tourists and this 'Museum of America' displays a wealth of themed ethnography and archaeology exhibits originating from the American continent, with exhibitions and information relating to the Paleolithic period onwards. Another must-see is the Museo Arqueológico Nacional (National Archaeological Museum of Spain), which resides next to the Plaza de Colon and alongside the National Library (Palacio de Bibliotecas). 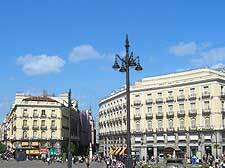 More information about Madrid Museums and Madrid Art Galleries. Madrid is brimming with tourism and endless reasons to visit, although if you can leave a little time to venture outside of its boundaries and into the autonomous region (comunidad autonoma), you will discover a number of particularly tempting possible day trips. You should plan your mode of transport carefully and those with a rental car will find that the city is encircled by a succession of ring roads, connecting many onward places of interest, although these roads can get incredibly busy during the peak times. 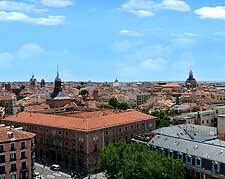 Worth considering are excursions to the neighbouring towns of Alcalá de Henares, Aranjuez, Chinchón and El Escorial, all of which are comfortably under an hour away. A little further from Madrid and to the north-west is the city of Segovia, which enjoys a hilltop setting, a rich Roman heritage and uninterrupted panoramas across the Clamores and Eresma rivers. Also in this direction is the small city of Avila, renowned for its ancient fortified town walls (Las Murallas) and views of the Sierra de Avila mountain range. 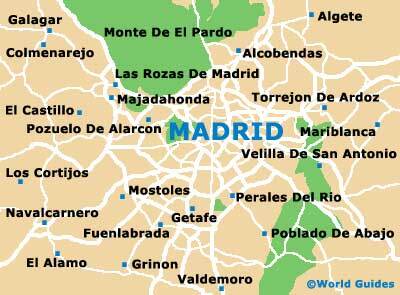 More information about Madrid Attractions Nearby.